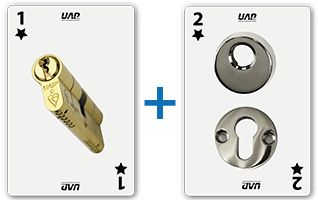 Our UAP cylinders guarantee security! 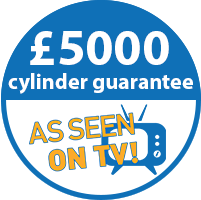 With one of our cylinders installed you’ve not only secured your home and your safety, but you’ve also secured yourself a £5,000 anti-burglar guarantee. Our anti-burglar guarantee means that if your home gets broken into via the lock, and you have one of our cylinders installed, in the event that an insurance company won’t pay out – we will. We are offering a guarantee of up to £5,000 to cover the cost of the stolen goods. All you need to do to ensure your guarantee is activated is register your cylinder using the serial number under ‘product registration’ on our website. 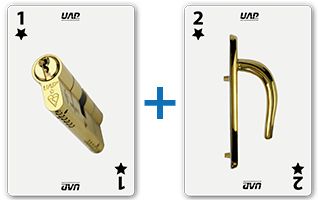 If you have any of these combinations of door hardware fitted, and are broken in to and your insurance company refuses to pay out, then we will – simple! Why does the above combinations have to be installed? The above combinations add up to 3 star Kitemark security. The British Standards Institution (BSI) Kitemark is a highly recognised quality mark that confirms that a product has been thoroughly tested and checked, and proven to meet a recognised industry standard or need. Unfortunately many of the door cylinders that are installed in homes all across the country are not Kitemarked, and a majority of these cylinders have not been tested to any standards or security tests! And what’s more they are not protected against the most common burglary attacks, meaning they can be broken in to in a matter of seconds. The BSI Kitemark tests the cylinder for a number of different elements including safety, attack resistance, key related security , durability, corrosion and temperature resistance. For more information please click here.